The Twiggy Fiberglass 5-Fin, designed by big wave world champion Grant Twiggy Baker, is a large size Speed Control quad/thruster combo with a Ride Number of 2.9/3.0 respectively. 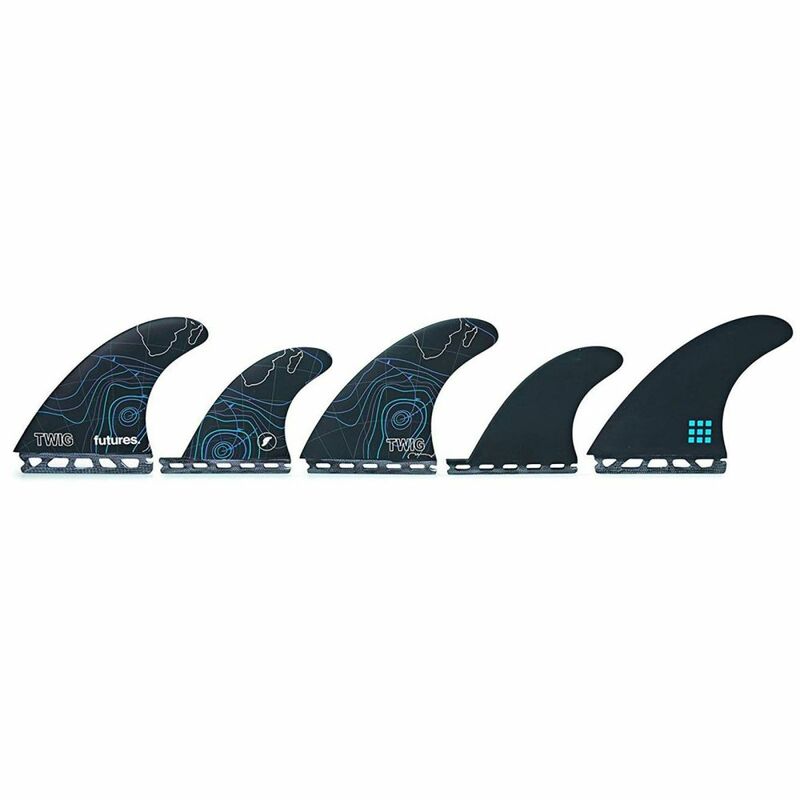 Developed over several years of research and testing as a thruster initially, the quad rears were added in to create the ideal big wave fin option for those looking to charge. With a center fin slightly larger than the sides, the thruster is Twiggy's preference in XXL size surf. The quad option suits him more when it's barreling and down the line. Both sets feature high speed foils and solid fiberglass construction enabling surfers to have better control over their board while achieving peak speeds.